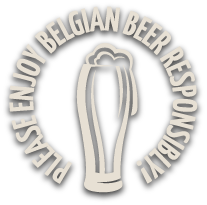 Admittedly, we Belgians are not always the best ambassadors for our own tiny country. We don’t shout our achievements from the rooftops, but we do like to give our friends a glimpse behind the scenes. Take your time to browse this section of our website. You are guaranteed to discover aspects of our country that you didn't know existed. We already offer one major advantage over other countries: you really don’t have to travel very far to immerse yourself in a variety of cultures and to sample our rich history. In our country, there is no destinaton that is beyond reach. You can cross it by car, left to right or top to bottom, in three hours’ time, traffic permitting. You may come across a traffic jam or two around our major cities, but as you’re here, why not stay a little bit longer and let yourself be surprised by what we have to offer? Get on your bike and accompany us along the roads of Belgium. You may be familiar with the name of Waterloo, the site of the battle known accross the world, where Emperor Napoleon of France had to concede final defeat in 1815. In Belgium you can see the battle field with your own eyes. You will find an antiques, or brocante market, on practically every street corner. Every village has its own rommelmarkt or flea market. At the Vossenplein in Brussels (Place Jeu de Balles), you can browse the market stalls every morning and take your pick from antiques that could be priceless, worthless or anything in between. Belgium is also a cycling country where the art of the bicycle is held in great esteem. One of Belgium’s greatest icons is Eddy Merckx, long retired from professional competition but is still very active in the cycling world. Following the diamond trail, we end up in Antwerp: home of the Diamond Exchange and also the place where the diamond cutters produce and export the highly valued ‘Antwerp cut’. This same city is also the birthplace of Belgian fashion. Well-known designers including An Demeulemeester and Dries Van Noten started up their businesses in Antwerp’s pretty streets. Don’t expect spectacular landscapes from this predominantly flat country of ours. Nevertheless, there are fairly noticeable differences in height between the coast and flatlands of the north and the undulating forested areas in the South. If we include the watchtower we just about reach a height of 700m on the ‘Roof of Belgium’ in the national park of Hoge Venen. Discover a rich history in which our ancient cities have each played their particular and remarkable part. And we have our unique cultural heritage, including belforts (belfries), beguinages (semi-monastic women’s communities), great cathedrals and historic city centres, many of them World Heritage sites protected by UNESCO. As to languagues, you need to know that we speak a version of Dutch called Flemish or Belgian Dutch in the north and French in the south. In the east of the country, between Liège and the German border, there is a German-speaking community as well. History is not always glorious, as we know, and that is made painfully clear in Belgium, the Cockpit of Europe. During the First World War, the front was situated in Flanders Fields, the region around the city of Ypres, which was completely destroyed during the war but has since been resurrected. The many war cemeteries bear witness to the hard-fought battles between the Germans, Brits and Commonwealth troops, the French and finally the Americans. Towards the end of the Second World War, the merciless Bataille des Ardennes (known as the Battle of the Bulge) was fought between the Allies and German troops located in the Ardennes forest in the Bastogne area. The newly contructed war museum attached to the Mardasson Memorial tells this compelling story.